DMV Licensed Driving School - choose either Academy Driving Program or À la Carte Courses! Bay Area Driving Academy is a California DMV licensed driving school - #E2019. We are also fully INSURED and BONDED. Our students are covered while taking their in-car behind the wheel driving courses with us. 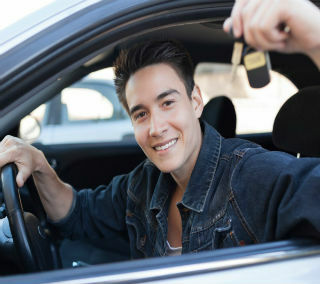 We can help you get your California Driver License! Our driving courses work to get you licensed in a safe and comfortable environment. Our comprehensive program and courses are designed for a modern-day Bay Area driver. Whether you live in Santa Clara County or San Mateo County, Palo Alto or Redwood City, Millbrae or Santa Clara - you can rest assured that our program is complete and thorough. Our entire team is committed to quality and excellence in training and education. Carrie Lampman, CEO/Head Instructor, developed a modern, quality driver education and training through a comprehensive and tailored program as to ensure the highest level of safety and confidence in our students by all of our licensed instructors. Online: Click Here to Schedule Now! Happy New Year! As we welcome 2019, there is no time like now to start driver training. Regardless, if you are a beginner or experienced driver needing a refresher, we make it easy & simple to improve your driving skills. Our calendars book fast – Book Now! Offering Adult or Teen Driving Academy Programs designed specifically for NEW drivers with little to no experience. The 6-hr program is set up to help you learn the basics to drive, develop confidence, and obtain your California driver license. Learn More!